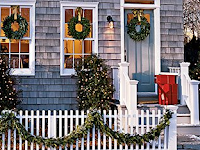 Tips for Beautiful Holiday Curb Appeal for Your North Shore Home! I hope you enjoyed the Thanksgiving holiday with friends and family here on Chicago’s North Shore! With the largest feast of the year and the busiest shopping day behind us, many of us are beginning to decorate our North Shore homes for the holidays to make our homes as warm, inviting and as full of holiday cheer as possible. Many of you who are planning on hosting parties and guests during the next month may be wondering how to make sure the exterior of your home is just as inviting as the interior. With the possibility of a blanket of snow, along with grey skies and bare trees as a backdrop; it’s important to not forget about your homes’ winter curb appeal. In fact, for those of you trying to sell your North Shore home this winter; creating great curb appeal is especially important for that lasting first impression. Whether you’re hosting friends and family, or hoping to get your North Shore home sold this winter; here are a few tips for making your home feel well maintained and welcoming from the moment people drive up to your North Shore home! 1. Safety- You may have friends and family planning to visit soon, so you’ll want to put safety first! Be sure your driveway, sidewalk and front porch are cleared of debris or any snow. It’s always better to be on the cautious side and put down salt, as even rain can freeze and make walking up to your home dangerous. 2. Tasteful Decorations- While you can have fun with the season’s bright lights and characters of Christmas, it can be easy for some to get carried away. 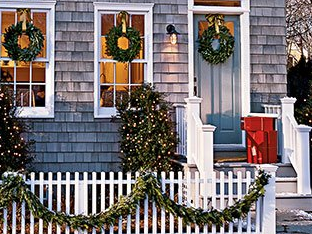 Try small white lights around your homes’ bushes or front porch post, a simple wreath and garland to enhance your home’s appearance without being too distracting. 3. Fresh Paint- Your North Shore home is more visible in the winter months as trees are free from their leaves and your home’s condition is more exposed. Touching up chipped or faded paint is a great way to help your North Shore home look refreshed. As a North Shore Real Estate agent, I want to help you make your home as inviting as possible for guests or buyers! My job revolves around more than just the North Shore Real Estate market, but is about providing a full service approach to past, present and future clients! If you are hoping to sell your North Shore home this winter season and would like to discuss your needs and what we can do to get your home sold; please contact me! I would be happy to guide you through each step of preparing and selling your home. Highland Park Active Listings: There are a total of 246 properties actively on the market with the average price of 1,059,410 in Highland Park. Highland Park Sold Listings: 38 properties closed last month in Highland Park with an average sales price of $493,862, the average time on market for these properties was 90 days. Northbrook Active Listings: There are a total of 212 properties actively on the market with the average price of $654,201 in Northbrook. Northbrook Sold Listings: 59 properties closed last month in Northbrook with an average sales price of $396,128, the average time on market for these properties was 63 days. Winnetka Active Listings: There are a total of 121 properties actively on the market with the average price of $2,364,236 in Winnetka. Winnetka Sold Listings: 11 properties closed last month in Winnetka with an average sales price of $1,060,955, the average time on market for these properties was 123 days. Deerfield Active Listings: There are a total of 111 properties actively on the market with the average price of $538,254 in Deerfield. Deerfield Sold Listings: 26 properties closed last month in Deerfield with an average sales price of $273,963, the average time on market for these properties was 69 days. Glencoe Active Listings: There are a total of 75 properties actively on the market with the average price of $1,520,248 in Glencoe. Glencoe Sold Listings: 9 properties closed last month in Glencoe with an average sales price of $1,188,000, the average time on market for these properties was 89 days. Don't Miss the First North Shore Holiday Event of the Season! It’s hard to believe that Thanksgiving is next week and that the holiday season will be in full swing! It’s a great time of year on the North Shore as parties, events and holiday shopping begin and festive decorations enhance the spirit of the season. In working as a North Shore Real Estate agent, I enjoy seeing how the various communities I serve celebrate the holidays. If you live in Winnetka, Deerfield, Glencoe, Northbook, Highland Park, or any of the surrounding cities; you’re sure to find a few different ways to get out and enjoy this time of year. In fact, whether you currently live on the North Shore or have been considering relocating to the area; you won’t want to miss out on this holiday event this weekend in nearby Evanston! It’s a great way to kick off the holiday season! - Don’t miss the first chance to celebrate the season in charming downtown Evanston! You’ll enjoy free parking all day in any of the downtown parking garages as well as great shopping and restaurants. Shops, cafes and restaurants will be offering special discounts throughout the evening. You can also take part in rides on the Evanston trolley! 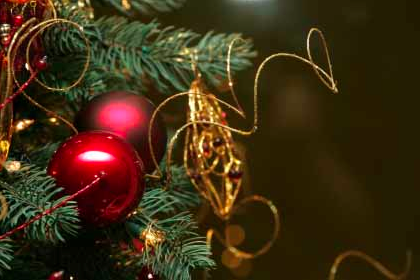 Live music and carolers will enhance this special event and instantly put your in a holiday mood. Local businesses will provide treats and refreshments, so you’ll want to be sure to stop by and learn more about these great Evanston businesses. At 5:30, everyone will gather in Fountain Square to watch as Mayer Tisdahl and Santa light the tree! For more information, visit the Evanston website. Why not take this opportunity to kick the holiday season off right? This is the first of many great events taking place throughout the North Shore during the holidays and you’ll be sure to enjoy this festive evening! If you would like to learn more about what it’s like to live on the North Shore, or you’re interested in touring some of the beautiful homes currently on the North Shore Real Estate market; please let me know! I would be happy to show you around and help you navigate through the home buying experience. Go Green in Your North Shore Home This Cold Weather Season! As a North Shore Real Estate agent, I have thoroughly enjoyed living and working in the North Shore for over twenty years. My experience with the lifestyle and real estate market allows me to provide some of the most unique insights into what it’s like to live on the North Shore. Those relocating to Deerfield, Winnetka, Glencoe, Highland Park, Northbrook or any of the other North Shore cities come to me with a wide variety of questions, knowing that my experiences and work within the North Shore Real Estate market make me an invaluable resource. One of the things I enjoy pointing out to those moving to a North Shore home is the fact that this area is comprised of environmentally conscious communities. No matter where you choose to buy your next home, you’ll find programs, events and opportunities to join in the cause to “go green” for the betterment of the North Shore community in which you live. And, while each city has a lot to offer for eco-friendly living, it’s also important to remember that we can all do our part… beginning in our own North Shore home. As we begin to bundle up for the cold weather season, here are just a few ways you can conserve energy and “go green” in your home! 1. 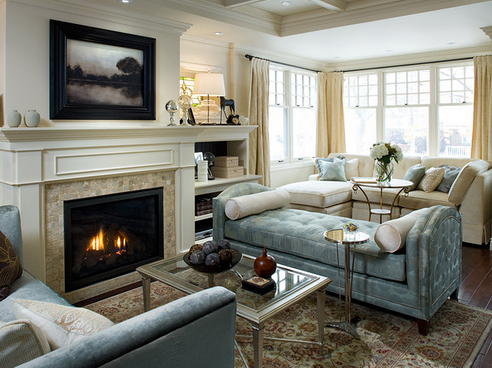 Use Your Fireplace- It’s amazing how a fire in your fireplace can heat up a room instantly! Consider lowering your thermostat on cooler evenings and lighting a fire instead. You’ll instantly feel cozier in the midst of Chicago’s chilly winters. 2. Unplug- Not using an appliance? Unplug it! The Department of Energy notes that, even if appliances are not being used, they are still using energy. 40% of electricity used for your home electronics is used when they’re turned off, but still plugged in. Getting in the habit of unplugging will prove to be a smart habit in the long run! 3. Program Your Thermostat- Setting your thermostat to lower temperatures while you’re away from your NorthShore home or while you’re sleeping will automatically help reduce energy used, as well as costs! 4. Prevent Leaks- Check all doors and windows for drafts. You can easily seal windows and doors to prevent the warm air from your North Shore home escaping while making sure the cool air doesn’t leak in! 5. Use the Sun- During the day, be sure to leave blinds and curtains open to let in the sunlight and natural heat. At night, shut them to help “trap” the warmth. 6. Bundle Up- Feeling chilled? Instead of turning up the thermostat, throw on a pair of socks or an extra layer. These small choices to not turn up the heat can really add up in energy savings! 7. Switch our Your Lights- From lamps to the Christmas tree, all of your lights can be changed out for energy efficient LED lights! With the sun setting earlier, you’ll be using your indoor lights more often. Also, the festivity of the season’s decorations can spike energy bill. LED Christmas lights can cut back on costs and energy usage. I hope these tips inspire even more ideas for ways to make your North Shore home an eco-friendly environment! While they may seem like small changes, they can add up to lower energy bills and a better atmosphere for your North Shore community. As always, I’m here whenever you have any questions about living on the North Shore or if you’re ready to begin your North Shore home search! Please feel free to contact me today to get started!